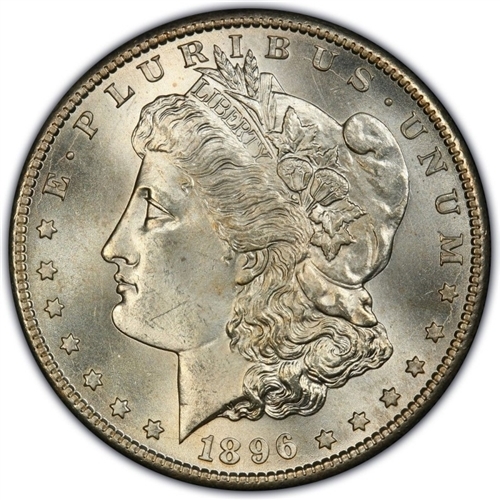 These 1896 Morgan Silver Dollar coins have a diameter of 38.1 mm and are made of a 90% silver and 10% copper composition. Each of these Silver Dollar Coins contain .0321 troy ounces of silver. These Morgan Silver Dollars are graded using strict Photograde standards.